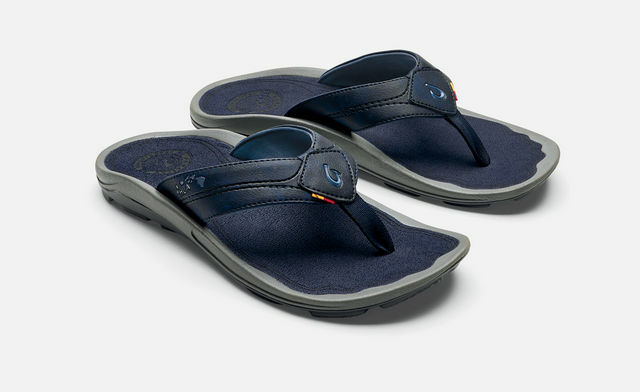 FEATURES: Water-ready build tested and approved by the HLA, features decorative strap stitching welded hook logo, laser footbed detail, and a custom jacquard webbing tag, which represents the traditional colors of the HLA. UPPER: Water-resistant synthetic straps with quick-drying jersey knit lining and a soft comfortable nylon toe post. FOOTBED: Compression molded EVA midsole with brushed dropin ICEVA footbed provides anatomical fit for sustained comfort. OUTSOLE: Non-marking Wet Grip Rubber outsole lugged and siped for added traction on land and wet surfaces.